Take a trip through the history books and you will find that almost every country had its own version of this spicy spirit – the only surprise is that our Canadian Aquavit shouldn’t have taken so long in coming. 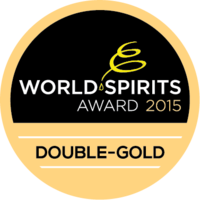 Okanagan Spirits Craft Distillery distills an award-winning Aquavit that has been embraced by the local Scandinavian community and others who enjoy this aromatic 42% alc./vol. spirit. Aquavit is a vodka-style spirit infused with aromatic herbs and spices to give a distinctive flavour characterized by a dominance of Caraway and Dill, our version also includes Anise, Fennel, Coriander, and Juniper. This spirit is the first choice for Scandinavian festive celebrations, especially Christmas, where is consumed neat, chilled served in small shot or tulip glasses and sometimes served alongside a cold pint of beer. Accompanying the Aquavit is usually a meal of pickled herring or smoked salmon or a fine roast. 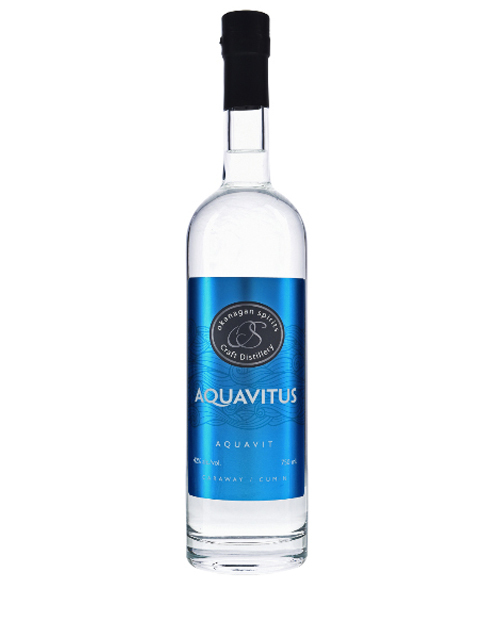 Aquavit is claimed to aid in digestion (“help fish swim down to the stomach”). The history of Aquavit dates back to the early 1500’s, when at that time the spirit was claimed to have many medicinal properties. Today there are numerous styles of Aquavit such as Norwegian aquavit which is sometimes aged in barrels and then transported by ship across the equator several times to barrel instill additional flavours. Future endeavours for Okanagan Spirits Aquavit may include finding a volunteer to row a barrel of our Aquavit once or twice around Okanagan Lake. This unique combo of ingredients & flavor is best captured with just water and ice. Not sure if it should be called vodka or not, it’s a brand of its own. I am very sensitive to hard alcohol but for what ever reason, this one is not upsetting and very little after effects, smooth! I am not in the area very much but would go out of my way to pick up more. This Canadian Aquavit is excellent. I would rate it a 9/10. A fantastic pairing for pickled herring. Rich and hearty with the essence of caraway, more velvety than the boring Aalborg that we used to buy... A world-class aquavit.